The filmmakers of "Icarus," a documentary that follows Bryan Fogel's investigation into international sports doping, have applauded the International Olympic Committee's decision to ban Russia from competing in the 2018 Winter Olympics over the country's doping scandal. "Icarus" features whistleblower Grigory Rodchenkov, who was a key witness for an IOC disciplinary commission and the World Anti-Doping Agency. In a statement to CBS News, Fogel and producer Dan Cogan said, "We applaud [Tuesday's] decision by the International Olympic Committee. As we learned in the making of our documentary 'Icarus,' the Russian state ran a vast, state-sponsored doping system that made a mockery of the Olympic ideals of brotherhood and fair play. 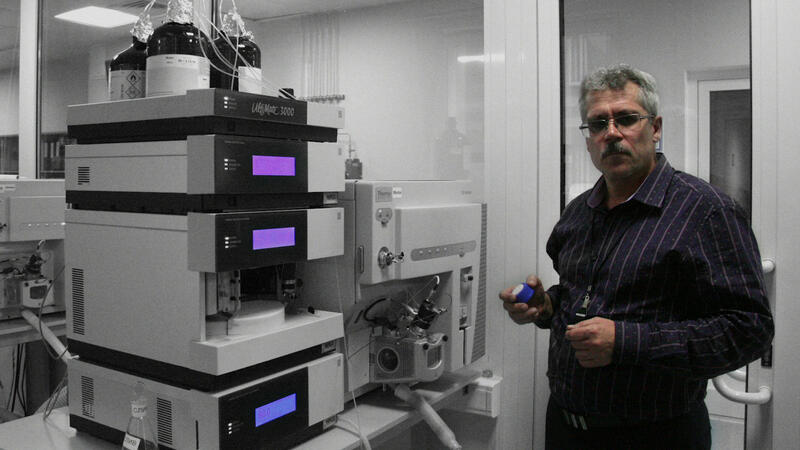 We salute whistleblower Dr. Grigory Rodchenkov, who risked so much to tell this story, and support all those who are willing to speak truth to power." Fogel and Cogan's documentary has been on Netflix since August. IOC-appointed investigator Samuel Schmid, who was asked to verify an "institutional conspiracy," said that the Russian doping program caused "unprecedented damage to Olympism and sports." Schmid's report included a 50-page sworn affidavit from Rodchenkov. The New York Times reports that Schmid cited "Icarus," which follows Rodchenkov as he moves to the U.S., as further evidence. Russia has repeatedly refused to acknowledge that a state-sponsored doping program existed. Such denials helped ensure bans on its track federation and anti-doping agency have not been lifted. Instead, Russia blames Rodchenkov, who was the former director of Moscow and Sochi testing laboratories, as a rogue employee. It wants the scientist extradited from the United States, where he is a protected witness. The IOC's executive board reached its decision on the ban Tuesday after a scheduled 4½-hour debate when it heard from a Russian delegation that included world figure skating champion Evgenia Medvedeva. The delegation was led by IOC member Alexander Zhukov, who was later suspended. The committee said it will allow clean athletes from Russia to compete as neutrals at Pyeongchang Games. The IOC suspended Zhukov, and also banned Russian Deputy Prime Minister Vilaty Mutko from the Olympics for life. Mutko was the sports minister in 2014 and is the head of the organizing committee of soccer's next World Cup. The Russian Olympic committee was also fined $15 million to pay for the investigation and future anti-doping work. The sanctions could be challenged at the Court of Arbitration for Sport.